Helmsdale is the perfect location for your holiday in the Scottish Highlands as there are so many things to see and do in the village itself and the surrounding area. In our cottage we have provided guests with detailed information suggesting how to make the most of your holiday in this beautiful part of Scotland. Below is just a taste of what this area has to offer. We have provided links to many of the suggestions so you can investigate more fully those of particular interest to you. Birch Holiday Cottage is situated above the estuary of the River Helmsdale, probably one of the best salmon rivers in the Scottish Highlands and is within five minutes walking distance of Helmsdale harbour. 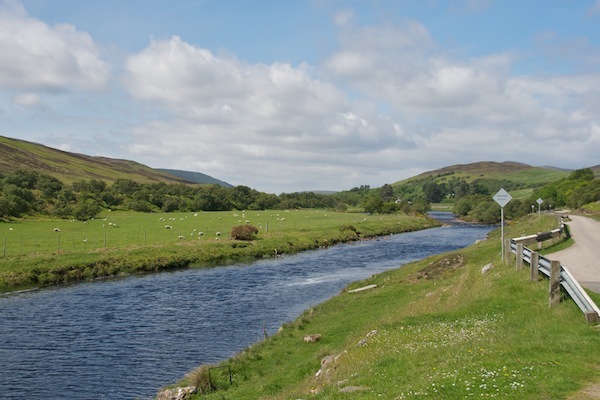 With numerous locations locally to also fish for wild brown trout, or coarse fish such as pike, this makes Birch Cottage the ideal location for your Scottish Highlands fishing holiday. As you will note from the Accommodation page, we have provided a secure storage area for your fishing equipment and we provide a freezer so that you can store your catch ready to take home. The Northern Highlands has some of the most beautiful coastline in Scotland. 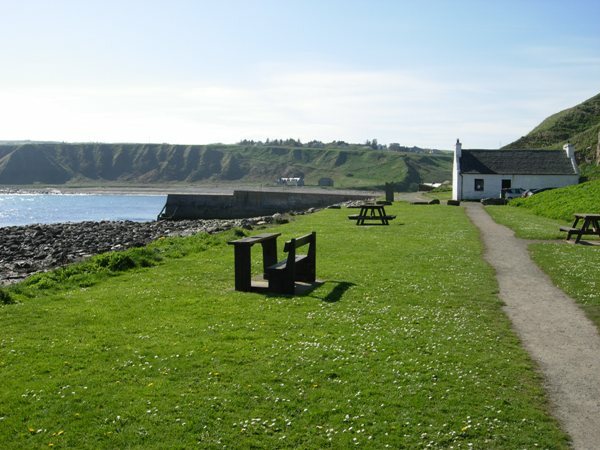 Helmsdale’s sand-and-pebble shoreline is within five minutes walk from the house and nearly all the coastline from just below Helmsdale to Brora is made up of the most spectacularly scenic, clean and quiet beaches in the whole of Scotland. The north-east of the Highlands does not contain many of Scotland's high mountains. Our nearest Munro is Ben Kilbreck (Meall nan Con) some 45 miles away. Closer to hand are the Grahams of Beinn Dhorain and Scaraben and the enigmatic Morven. Visit Munro Magic for further details. With Scotland’s Outdoor Access Code you are able to explore all our surrounding hills and coastline, with some examples of local walks available from Walkhighlands and the Forestry Commission Scotland. The Highlands of Scotland is also now renowned for its mountain biking. 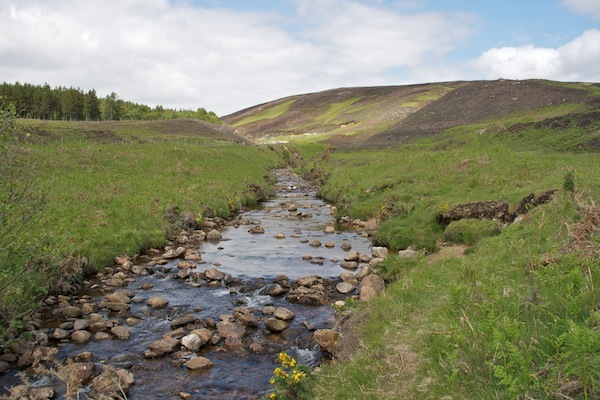 One of the best courses in the country is just south of us at the Highland Wildcat Trails and much of the Forestry Commission's land includes well signposted cycling and walking paths, including the Kyles of Sutherland Mountain Bike Trails. The Highlands boast a number of high quality links courses, including the world famous Royal Dornoch course which is within easy driving distance. Helmsdale has its own golf course and other local courses include Brora and Golspie. If your interest lies in fossil hunting, then there are few locations better than Helmsdale where Jurassic fossils have been found in the Helmsdale boulder beds. More information can be found at UK Fossils Network. Another great place to visit is the Orcadian Stone Company in Golspie which has an extensive exhibition of rocks, minerals and fossils. It has very knowledgeable owners who love passing on their expertise. Just up the glen from Helmsdale is Strath Kildonan, the location of Scotland’s last gold rush. Panning for gold is a great fun activity for all the family with equipment available from the shops in the village. 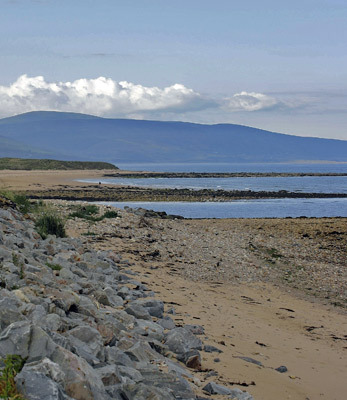 We have stunning scenery and an unpolluted environment and as a result there are lots of internationally protected nature sites, such as the National Nature Reserve of Loch Fleet which you can visit locally. 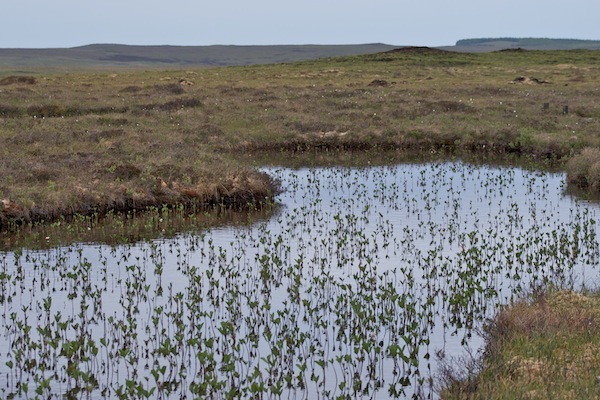 Those interested in bird watching can make for the RSPB Nature Reserve at Forsinard in the Flow Country (the largest expanse of blanket bog in Europe). 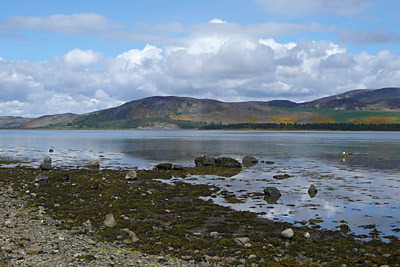 In addition the Dornoch Firth, just below us is designated as a National Scenic Area. 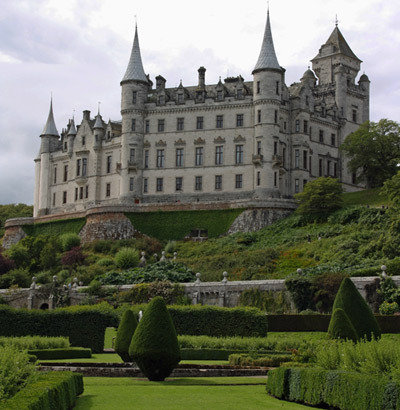 Why not visit the outstandingly beautiful Dunrobin Castle transformed to its current form by Sir Charles Barry, architect to the Houses of Parliament. 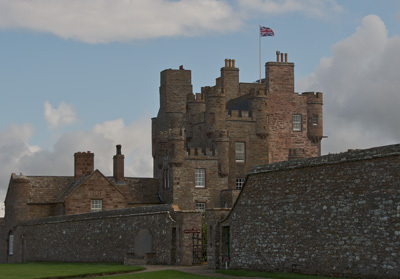 Alternatively, head north and make for the Queen Mother’s former home (still owned by Prince Charles) the Castle of Mey. 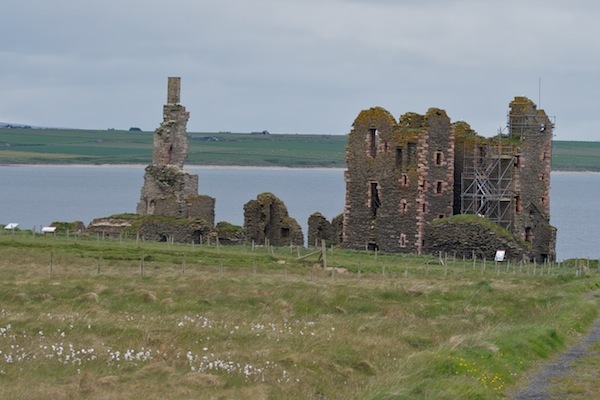 Unfortunately Helmsdale's own castle, built 1488, was demolished to make way for the new A9 road bridge, however there are still many ancient monuments in the immediate vicinity. 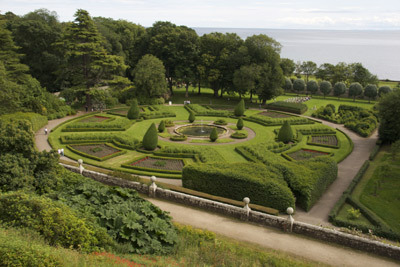 Easy to visit is Dun Broch, right beside the A9 overlooking the Moray Firth. Even closer to Helmsdale are both Cinn Trolla Broch - again between the A9 and the coast - and then inland up Strath Kildonan, Kilphedir an iron age tower with stone circle. Further information on all these sites is available from The Megalithic Portal. Those interested in more recent history should make for the village’s Timespan Museum and Arts Centre, or the Dunbeath Heritage Centre. Both specialise in the history of the highland clearances and contain a wealth of information for those who wish to investigate their ancestry. You may be interested to learn that every room in the cottage looks over onto Gerald Lang’s "The Emigrants" statue which is located on the other side of the River. If you're interested in learning more about Scotland's national drink - whisky - then Clynelish Distillery is approximately 10 minutes drive away. There are a number of other distilleries within easy driving distance such as Old Pultney and Dalmore. Being next to the coast we are also ideally located for water-based pursuits such as canoeing and kayaking, diving or snorkelling. The North of Scotland is also becoming renowned for its great surfing with international events being staged at Thurso, north of Helmsdale. As outlined above we have provided a secure shed where you could store any equipment. There are lots of places to eat and drink within walking distance of the cottage. Details are available on the community website. If you are visiting Sutherland in the summer why not go along to one of the local Highland Games. Helmsdale Highland Games are usually held in August and see the Scottish Highland Games Association website for details of others, including Halkirk and Tain. Another very enjoyable day out is the local agricultural shows with both the Sutherland Show and Caithness Show held in July each year. Visit our picture gallery for more photographs of the surrounding area and Birch Cottage.